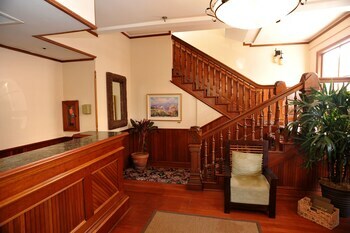 Beautiful place, the rooms do need to be remodeled, the rooms have a smokey smell? We loved the ocean view and the kids lived the pool! very close to some really nice beaches where we spent most of our time. Accepting the beach. Not a dislike but just an update of the resort. Older hotel, not as luxurious as its sister resort next door but, Great value and staff was great. 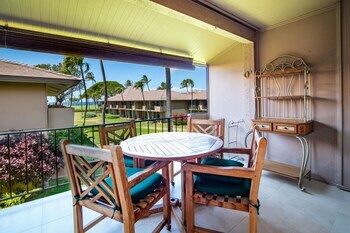 You'll love every minute in enticing Lahaina. The talented team at Orbitz will help you get going by bundling the best airfares and hotels. Keen to save up to $857*? All you need to do is bundle your bookings by selecting your desired airfares, hotels, rental cars and experiences. With 500 airlines and no less than 500,000 hotels on our global database, you have the freedom to choose who to fly with and where to stay! With limitless possible options to choose from, our packages let you create that vacation you've been dreaming about. We know... rewards programs are a dime a dozen. But who doesn't like those small perks and extra savings? We've developed an easy program that will reward you quicker than anyone else. For instant Orbucks, simply keep on booking with us! One more thing, just stay four nights for gold membership and 12 nights for platinum. What does that get you? Well, you'll have all kinds of special perks at Orbitz Rewards VIP Hotels. And how do you redeem? It's a breeze — just use your Orbitz Rewards points on the following booking. Learning a thing or two about your destination before you arrive is a good way to prepare for your getaway. Ready to discover just where Lahaina is on the map? You'll find it approximately 80 miles east of Honolulu, the state capital of Hawaii, and around 10 miles southwest of Wailuku. There are around 12,000 locals that reside in this corner of Maui. So, what will you visit first? 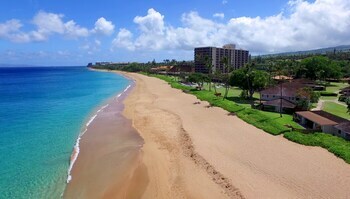 Kaanapali Beach, a truly memorable sight, brings in hordes of visitors to Lahaina year-round. Make sure it's at the top of your sightseeing hit list. Maui Theater is a fundamental piece of this area's rich culture. Find out what's happening and get set for an unforgettable night of entertainment. Want to keep the good times rolling? It's common knowledge that spending time in nature can make us more cheerful. So, if you're after a bit of a lift, why not visit Banyan Tree Park? But wait, that's not all! 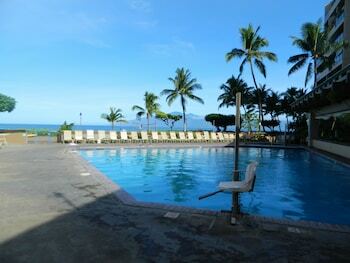 Chip and drive your way through Kaanapali Golf Courses and enjoy a day in scenic surroundings. 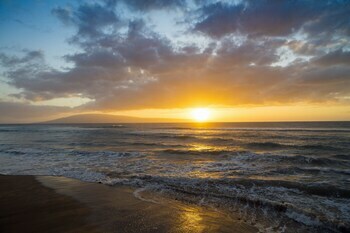 Take your travel lust further by checking out car rentals in Lahaina. It doesn't matter where you plan to go or what you're hoping to do, Orbitz will help you find a ride that suits your adventurous spirit. Pick up a vehicle from the West Maui Airport area and you can get off the plane and slide right into the driver's seat. Make your way to Budget and Avis. If you're staying in the city, head on over to Hertz at 200 Nohea Kai Drive. It is positioned 3 miles from the center of town. Lock in a comfy room and get set for your amazing adventure! 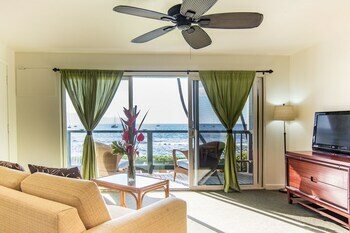 Orbitz offers as many as 50 hotels in Lahaina. 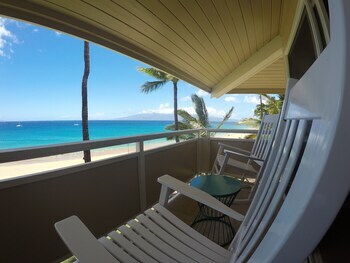 Our top picks on the island are the Puunoa Beach Estates and Kaanapali Alii. 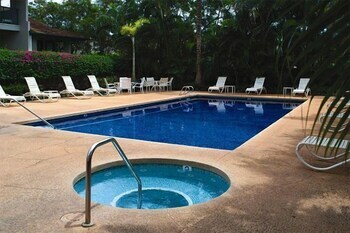 See what you think of the amenities, services and facilities, and choose your favorite. After you've waved goodbye to the airline attendants and collected your bags, all you'll have to do is to head in to town. 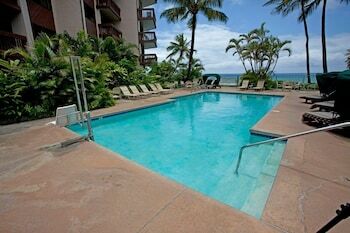 The heart of Lahaina is 6 miles away from West Maui Airport (JHM). If you've explored the best of Lahaina already, don't go home just yet. You've actually got iconic tourist attractions right around the corner! Haleakala National Park draws travelers from all corners of the globe. Kula, about 30 miles from Lahaina, is a convenient base when stopping by this world-famous attraction. Altering or canceling a booking can often be tricky — but not with us! We won't impose a fee, which makes it stress-free.^ Hotels and airlines sometimes have the same policy, but check with them first.